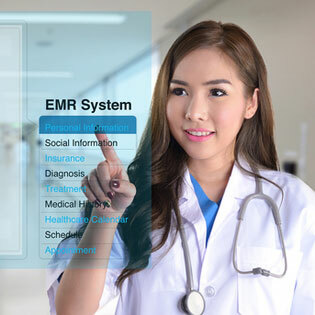 EHR systems come in two styles; the older client-server configuration and the newer cloud-based systems. The difference in these two types of systems is great. Client-server configurations require the clinic to have a server, applications to run EHR, hardware, and the people to maintain the network. Cloud-based systems only require a computer, tablet, or smartphone with an internet connection. The savings with a cloud-based EHR service is already apparent, but TOSS C3 – a reputable cloud service provider, has more details you don’t want to miss out on. To stay current on what is happening in the world of EHRs and other healthcare technologies, subscribe to the TOSS C3 blog. As mentioned above, the cost for a server-client EHR system is expensive. You are looking at purchasing a server, hardware, software and IT personnel to get your system up and running. Most likely you will be investing tens of thousands of dollars to get the system fully operational, and then you have to wait for everything to get installed and synced properly. A cloud-based model leaves all of that to the cloud service provider. You will pay a monthly premium for the service, but the service will also take care of upgrades and maintenance. You literally just pay the fee, and the rest is handled for you. Client-server configurations restrict data to an in-house environment. Cloud-based systems have the world at their fingertips. This is beneficial to the patient as well as the health provider’s employees. The ability to use a smartphone, tablet or computer from anywhere there is an internet connection allows patients to access their records from home, coffee stands, airports, or wherever. This applies to employees as well. If someone is feeling under the weather and cannot make it to work, it does not limit their ability to work from home. If the doctor is away at a conference, they can still connect and see patient’s files while they are away. The days of worrying about security in the cloud are gone. In fact, in most cases, your EHR is protected better than if you kept the data in-house. Paper files can get lost. Computer files in-house can suffer from a server crash or from hackers. If a server does go down the entire office suffers down-time waiting for IT to get it up and running again. If hackers get information from the server, then you are responsible for the data lost. This can even lead to reputation loss and possible liability law suits. In the cloud, none of these problems exist. Hackers have a harder time hacking files in the cloud. Since most cloud service providers, like TOSS C3, provide the best possible encryption available; it makes it very hard for hackers to steal anything, and if they do they probably won’t be able to break the code and access the actual information. When looking into a cloud service provider, make sure they are HIPAA certified and that they have a history working with healthcare professionals. Providers like this have taken the time to optimize their servers for the healthcare industry, and they are familiar with your hardware and software needs no matter what size your clinic is, Get a free assessment today and learn how TOSS C3 can elevate your business to the next level.